South America Flight is one of the leading travel agencies in London, UK offering cheapest flights to worldwide destinations. We specialize in arranging flights to South American destinations. 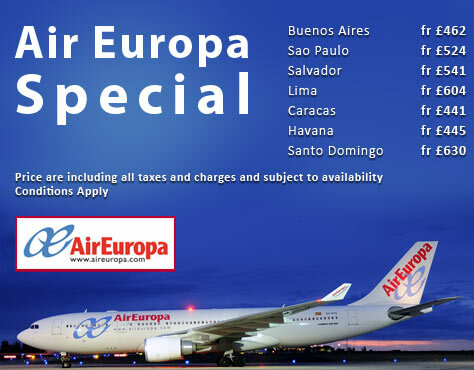 We are appointed agents for more than 50 airlines and can offer you cheap flights to Sao Paulo, Buenos Aires, Londrina, Goiania, Rio De Janeiro, Recife, Natal, Florianopolis, Santiago, Bogota, Medellin, Cali, Guayaquil, Quito and many other travel destinations of the world. We are fully bonded with ATOL and IATA so you don't have to worry about your bookings. 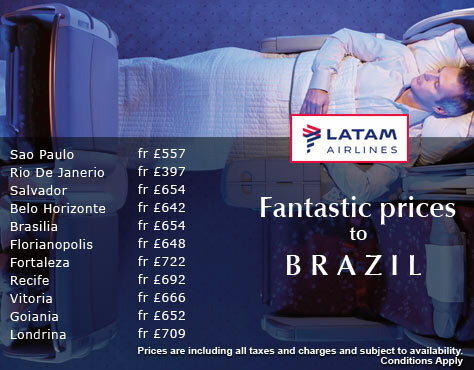 Book online with confidence when you book with South America Flight. 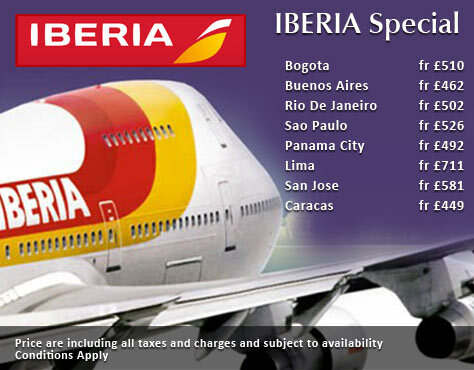 South America Flight works with top airlines such as Iberia, TAP, TAM, Air Europa, British Airways, BMI, etc. 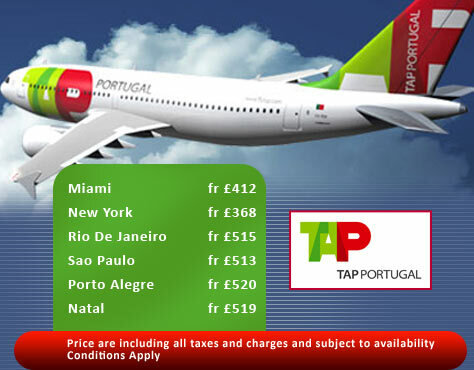 to give you cheapest flight deal for your favourite destinations.